very entertaining especially the live show, love the 4d marvel experience, and the tassuads wax figures. thanks klook for the easy access to madame tassuads singapore. Snap a selfie with rock stars, actors, politicians, musicians at Madame Tussauds Museum in Singapore! Upon arriving, have no worries when redeeming your ticket – simply go to the Klook exclusive skip-the-line lane and avoid the hassles of queuing! Take a trip back in history or straight to famedom by visiting the museum's various sections: Music, A-List Party, Sports, History & Leaders, Film and more. 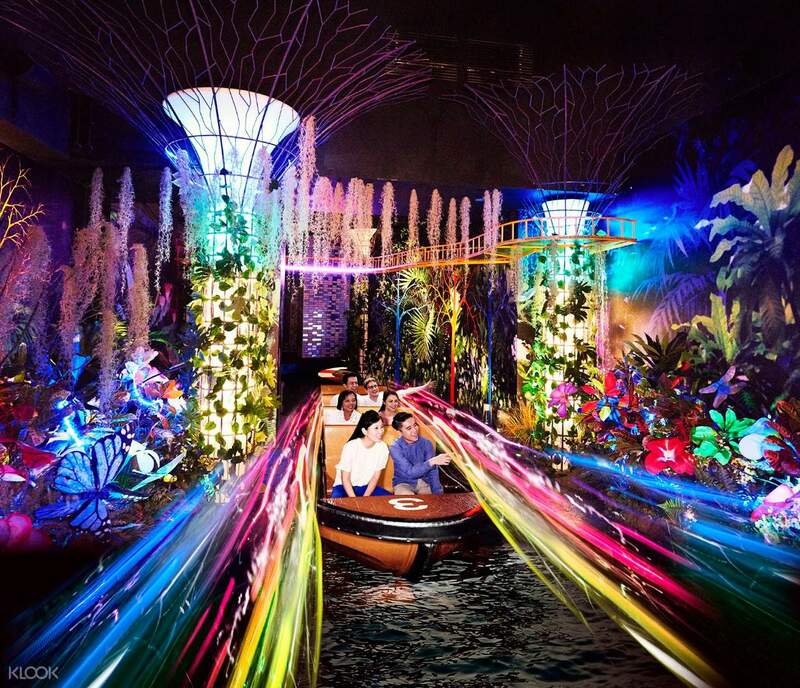 Don't leave without hopping aboard The Spirit of Singapore Boat Ride that takes you on a voyage through an exotic tropical garden. See the Images of Singapore Live exhibition and discover the city's transformation from a small village into a bustling metropolis. Ride through the beauty of Singapore with this Spirit of Singapore boat ride when you visit! This is my very first time going to Madame Tussauds wax museum. I advice everyone to buy Madame Tussauds + Marvel 4D ticket. The different is not much and the Marvel 4D show is worth to watch. I bought Madame Tussauds + Marvel 4D ticket and got to enter Madame Tussauds museum, Marvel 4D show, Singapore live show and boat ride. Basically it is 4 in 1 ticket. Tqvm Klook!! This is my very first time going to Madame Tussauds wax museum. I advice everyone to buy Madame Tussauds + Marvel 4D ticket. The different is not much and the Marvel 4D show is worth to watch. I bought Madame Tussauds + Marvel 4D ticket and got to enter Madame Tussauds museum, Marvel 4D show, Singapore live show and boat ride. Basically it is 4 in 1 ticket. Tqvm Klook!! It was a great experience. We were able to meet a lot of leaders and stars. But some of the experiences are not available since we were already the last ones to enter. but, overall it was a great experience. It was a great experience. We were able to meet a lot of leaders and stars. But some of the experiences are not available since we were already the last ones to enter. but, overall it was a great experience. Madame Tussaud's Singapore have lot of real wax celebiraties and you can have an opportunity to take a lifetime picture with them. in addition they have Singapore live show. 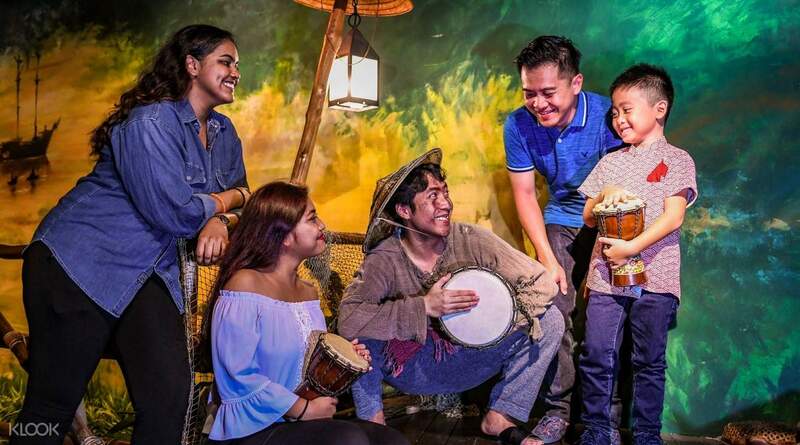 this show will help us to know history of Singapore. Madame Tussaud's Singapore have lot of real wax celebiraties and you can have an opportunity to take a lifetime picture with them. in addition they have Singapore live show. this show will help us to know history of Singapore. 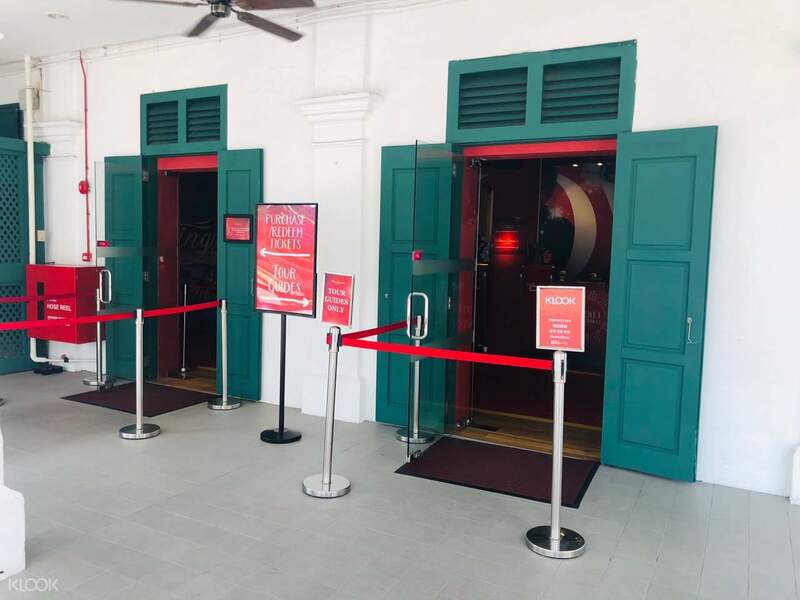 Using Klook we were able to do Madam Tussauds, along with the Avengers 4D experience and the Singapore boat ride which was fun!! The booking of the tickets was so easy and also the 4D experience was great! 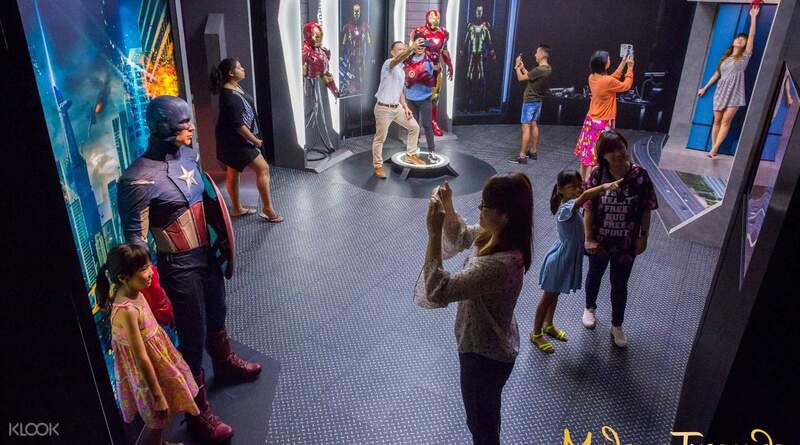 Using Klook we were able to do Madam Tussauds, along with the Avengers 4D experience and the Singapore boat ride which was fun!! The booking of the tickets was so easy and also the 4D experience was great! I and my friends had so much fun! We were able to see the history of Singapore, the celebrities made of wax, and most especially the 4d movie. It was an enjoyable experience! I hope wou will be also experience what we havee experienced. Thank you Klook for making our experience memorable and enjoyable. I and my friends had so much fun! We were able to see the history of Singapore, the celebrities made of wax, and most especially the 4d movie. It was an enjoyable experience! I hope wou will be also experience what we havee experienced. Thank you Klook for making our experience memorable and enjoyable. Like all other Madame Tussauds this is special place. Bollywood has got a special place in this wax museum. lovely place. Dont miss the Singapore live program, its a good walk through of the history of the island country. Like all other Madame Tussauds this is special place. Bollywood has got a special place in this wax museum. lovely place. Dont miss the Singapore live program, its a good walk through of the history of the island country. Recommend to book from Klook. It is much cheaper than purchasing at the ticketing counter. The package includes 3 activities which is well organised. Got local, regional and international political leaders and pop stars. Interesting to take photo with them and make your own Creative pose. Recommend to book from Klook. It is much cheaper than purchasing at the ticketing counter. The package includes 3 activities which is well organised. Got local, regional and international political leaders and pop stars. Interesting to take photo with them and make your own Creative pose.